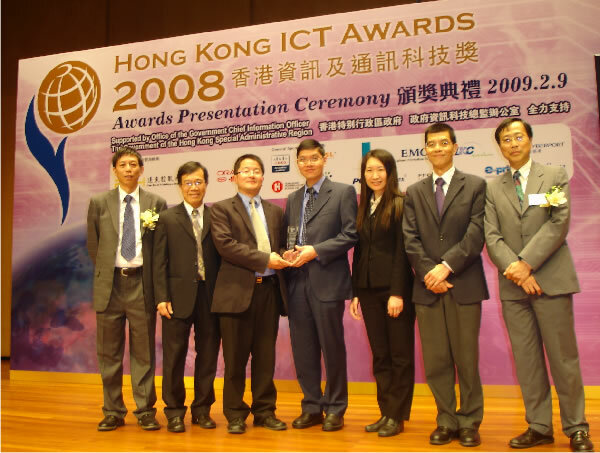 (From left) Dr. Winnie Tang, President of Internet Professional Association, presented the award to Dr. Vincent Tam, Dr. S.W. Cheung, Dr. K.S. Lui and Dr. Wilton Fok. The HKSAR Financial Secretary Hon John Tsang addressed the keynote speech for the event.